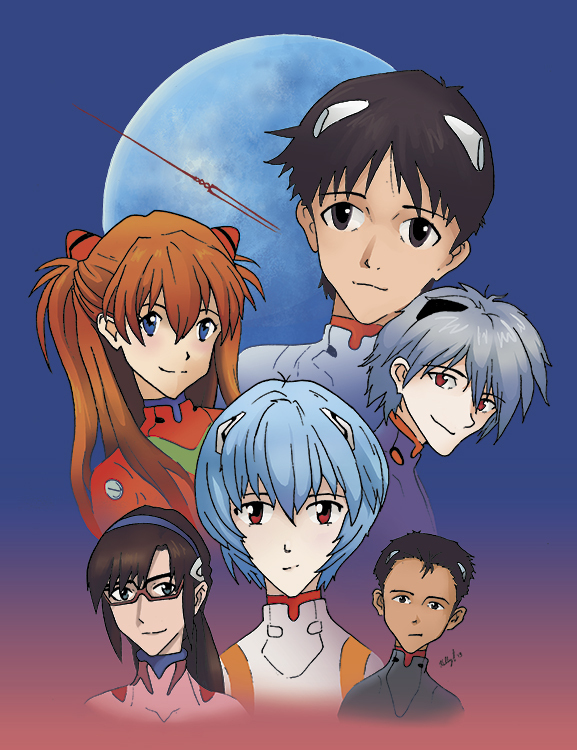 Been watching loads of Evangelion again since the 3.33 release. Wanted to make some fan art. Originally was going to be a watercolor, but the masking fluid ripped up the paper (which was apparently too soft). Luckily I had scanned in the ink and was able to color it digitally.